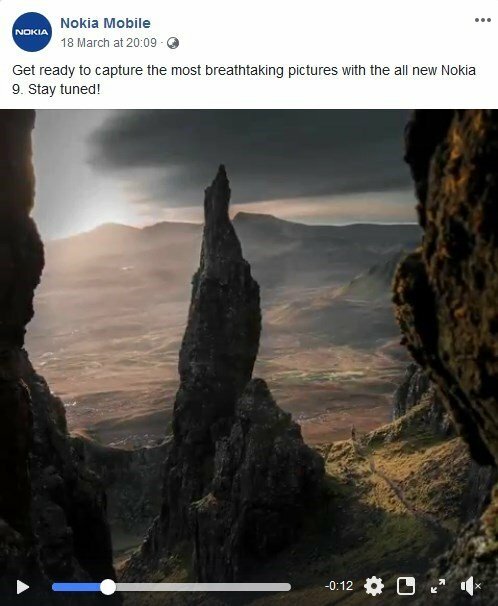 The Nokia 9 India launch has been teased on the company’s Facebook page. The device, which is also called the Nokia 9 PureView, had been introduced at the MWC 2019 tech show, about a month ago. Here’s a recap of the phone’s hardware. The Nokia 9 sports a 5.99-inch QHD+ pOLED display with Corning Gorilla Glass 5, and an in-display fingerprint scanner. The phone is powered by a Qualcomm snapdragon 845 processor with 6GB RAM, 128GB storage, and runs on Android 9 Pie out of the box. The Nokia 9 PureView boasts a 5-camera setup on the back, all of which are 12MP sensors. Three of those are monochrome lenses, while 2 are RGB lenses. The selfie lens on the front is a 20MP camera. The device houses a 3340 mAh battery which charges over USB Type-C. Sadly, the Nokia 9 does not have a headphone jack. The phone has been IP67 certified for water and dust resistance. Nokia 9 India launch imminent? We don’t have a specific date for the Nokia 9 India launch, but the company did hint that the device could be available globally from March, so we can expect an official announcement soon.